Physical requirements and forms are included in the above packet. The Athletic Department has arranged for physicals to be done by Dr. Tischler and his colleagues at Newport Orthopedic Institute on June 14 at 5:30 p.m. for $25 – see the Athletic Director, Mike Zimmerman’s Letter for more information. You must bring these completed packets to the first day of your participation at Summer Camp. 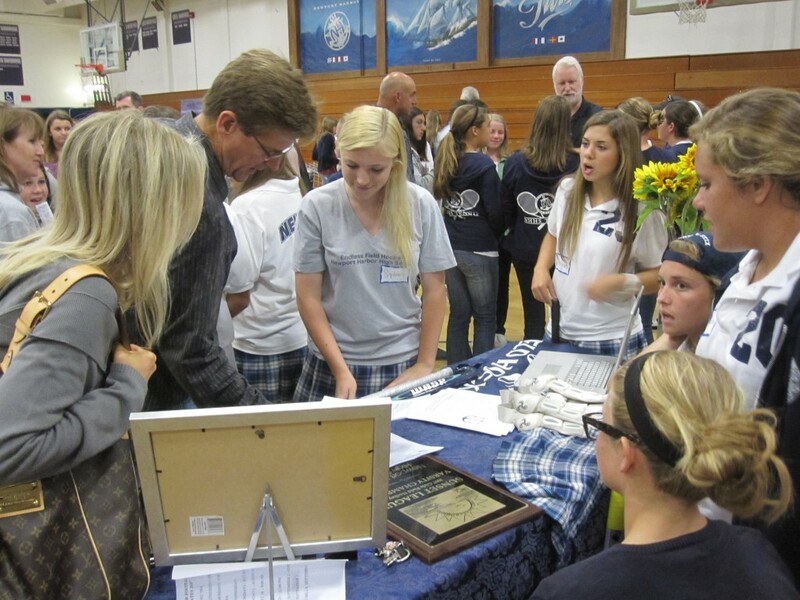 Newport Harbor held an Open House and Freshman Information Night last night where extra-curricular programs and clubs had information booths set up for promotion and to answer questions. 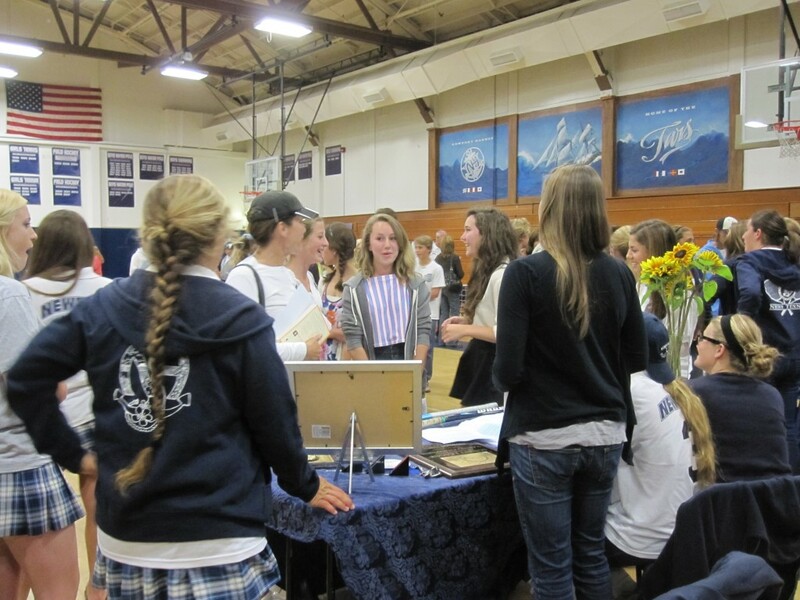 We had a great time meeting all of the new students (and their families) that may be joining us at summer camp! 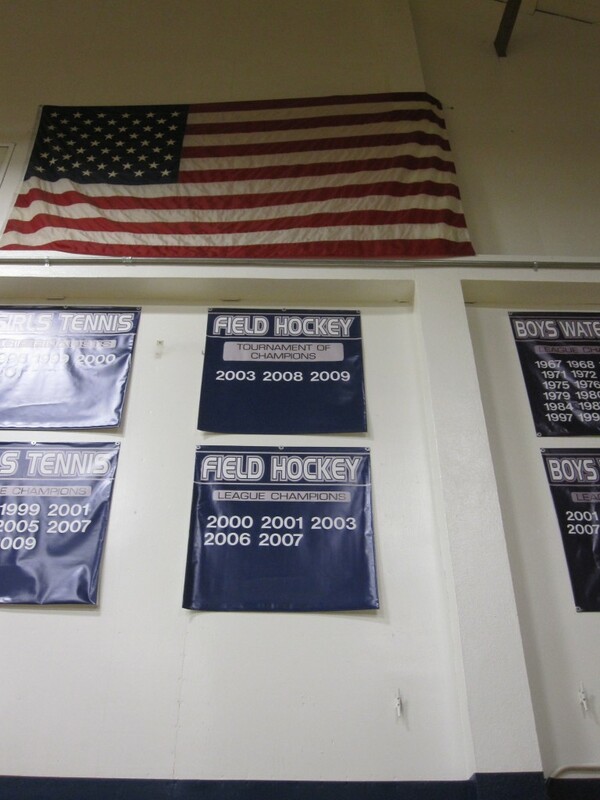 Newport Harbor put up banners in the Main Gym to show the athletic achievements of each sport. 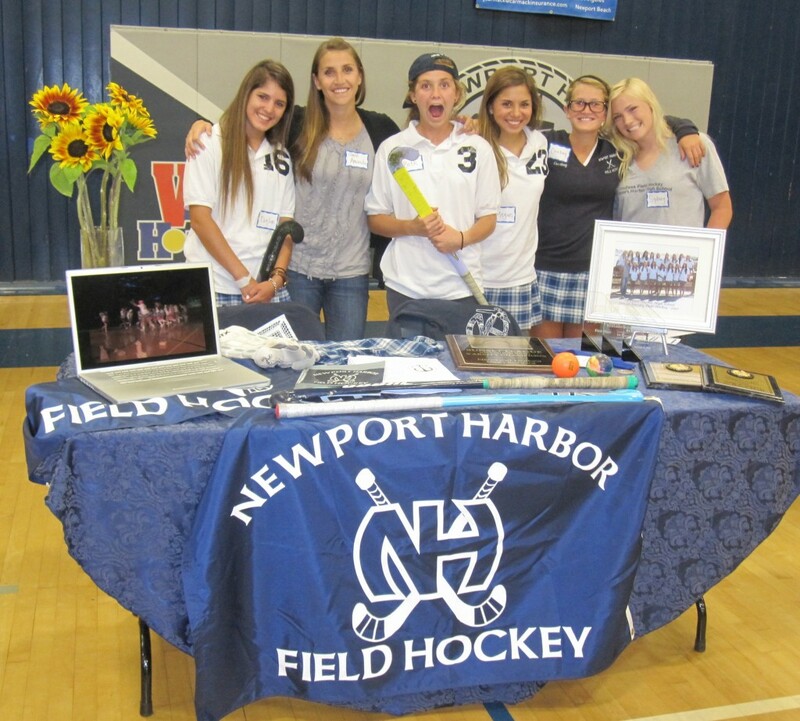 Go Field Hockey! Reminder: conditioning is canceled tomorrow, Wednesday, May 19th. Conditioning will resume Thursday, May 20th as usual at 2:30 p.m.
Congratulations to Lauren Grupe for her decision to attend University of the Pacific in the fall. 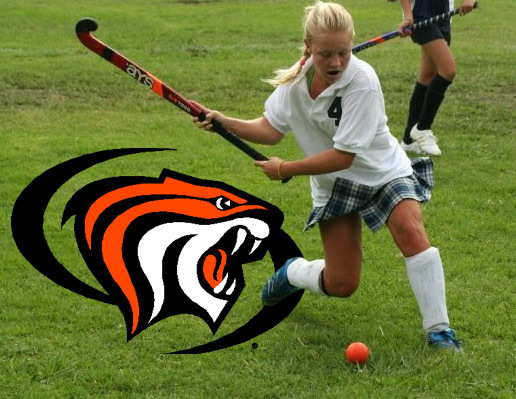 We look forward to following your field hockey career at UOP! 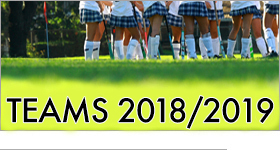 Field Hockey Conditioning will be held May 10 – June 17, on Mondays, Wednesdays & Thursdays from 2:30 – 4:30 at Harper Field. Conditioning is only available to returning players. There will be stick work and field play in addition to conditioning so be sure to bring your shin guards, mouth guards and sticks. See you on the field! 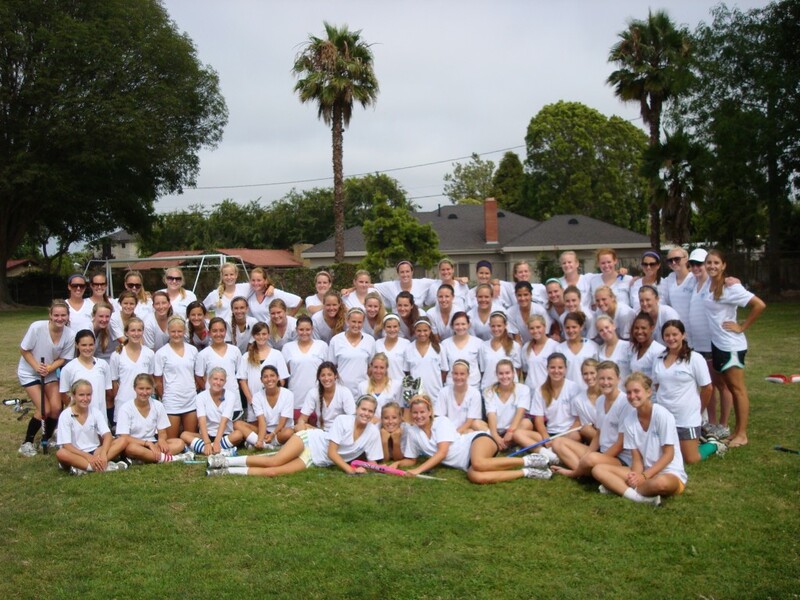 The 2010 Summer Camp and Tryout Dates have been posted. See you this summer!